Let’s face it – in the world of small business, things don’t always go as planned. But with preparation, a little foresight and the right tools at your disposal – the new ultra-capable 2017 Jeep® Grand Cherokee Trailhawk, for example – it’s possible to turn an unexpected obstacle (say, a detour off-road) into an opportunity for success. 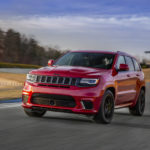 While it’s true the Jeep Grand Cherokee Trailhawk boasts the kind of amped-up off-road capability some small-business owners may never need, there are entrepreneurs out there for whom the Grand Cherokee Trailhawk is the pefect vehicle, earning its keep in everyday driving conditions and proving just as effective when the environment is less forgiving. 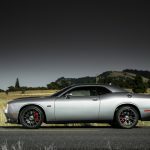 If you’re somebody who falls into the latter category of entrepreneur (the off-roading type), or if you’re just a fan of the Jeep Brand in general, we recommend you a take a closer look at one of the latest and most capable additions to the Jeep family of vehicles. The Jeep Brand introduced the “Trailhawk” name on the Grand Cherokee concept vehicle that first appeared at the 2012 Easter Jeep Safari in Moab, Utah. The idea was to deliver a unique and more rugged appearance, with a host of functional features that resulted in an increased level of off-road 4×4 capability. 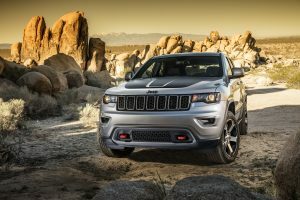 The “Trailhawk” name moved to production with the introduction of the all-new 2014 Jeep Cherokee, as the most capable of four models (Sport, Latitude, Limited and Trailhawk), and continued with the all-new 2015 Renegade. 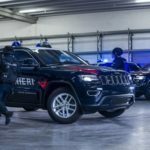 It joins the Grand Cherokee lineup as a sixth model for 2017 (Laredo, Limited, Overland, Summit, SRT® and Trailhawk). Grand Cherokee Trailhawk models are equipped with a host of standard off-road capability features, including the Jeep Brand’s Quadra-Drive® II 4×4 system with rear Electronic Limited Slip Differential (ELSD) for all powertrains, a unique version of Grand Cherokee’s Quadra-Lift® air suspension – developed for Trailhawk – that offers improved articulation and total suspension travel, as well as Selec-Speed® Control with Hill Ascent Control. Skid plates and a Trailhawk-specific anti-glare hood decal are also standard. 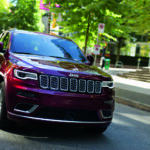 The Jeep Grand Cherokee Trailhawk exterior features a front fascia and seven-slot Jeep grille that debuted on the 2016 Grand Cherokee 75th Anniversary Edition, Trailhawk-signature red tow hooks in the front and rear, standard rugged 18-inch or optional 20-inch Goodyear Adventure off-road tires with Kevlar reinforcement, new Trailhawk and Trail Rated badges with red accents, mirror caps and a roof rack with Neutral Gray accents, and optional Mopar® rock rails for added protection. 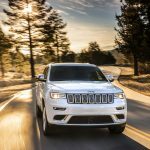 The 2017 Jeep Grand Cherokee Trailhawk will be available late summer of this year.